Fitting in, becoming more distinctive and responding to life changing events are some of the reasons why adults decide to change their names. 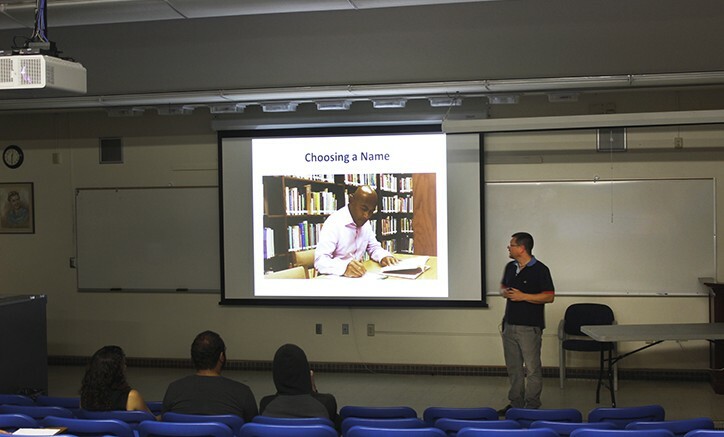 American River College mathematics and instructional technology professor Phil Smith hosted a college hour Thursday to teach the process of changing a person’s name in California in Raef Hall room 160. There are many steps to take when in the process of changing a name. A name change petition is the first step. This is a written request that has to be turned into the county court. The request should include the current name and the desired name. After a name change petition, the next step is to have the name change published in a “newspaper of general circulation” once a week for four consecutive weeks to notify the public. The last step is to wait and keep checking online to see if the petition gets approved and to talk to a judge if necessary. The Sacramento County Superior Court only takes name petitions on Wednesdays. The court issues a decree after the petition is approved. This is used to change names on other documents. Smith listed the top places to notify of the name change. These include the Social Security Administration, the Department of Motor Vehicles, health insurance providers and banks. It can be a surprise how expensive changing a name can be. There is a $435 filing fee with the name petition. It will also cost money to put the legal publication in the newspaper and to get the name changed with social security. There are restrictions about what a name can be changed to. For example, trademarks such as Red Bull or Louis Vuitton, celebrities, profanities and racial slurs are forbidden. There are many reasons people choose to change a name. These include families coming together or going apart, reflecting a changed identity or promoting a career. Be the first to comment on "Changing legal names discussed at college hour"